After years of aqua blue overload, I am a bit obsessed with anything navy right now. 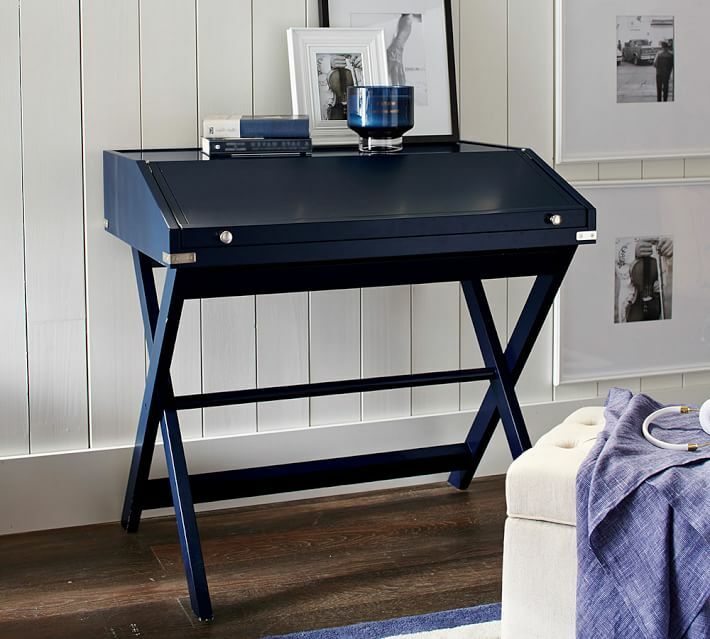 So when I found this secretary desk from Pottery Barn I was in furniture love. Very rarely do I find something so cool that it makes my online interior decorator heart skip a beat, but this desk does just that. Not only is the deep blue color awesome, the finish is in a high gloss giving the desk a nice shine and a bit of glam. The polished nickel hardware and slight nod to campaign style furniture, makes this little desk a true find. 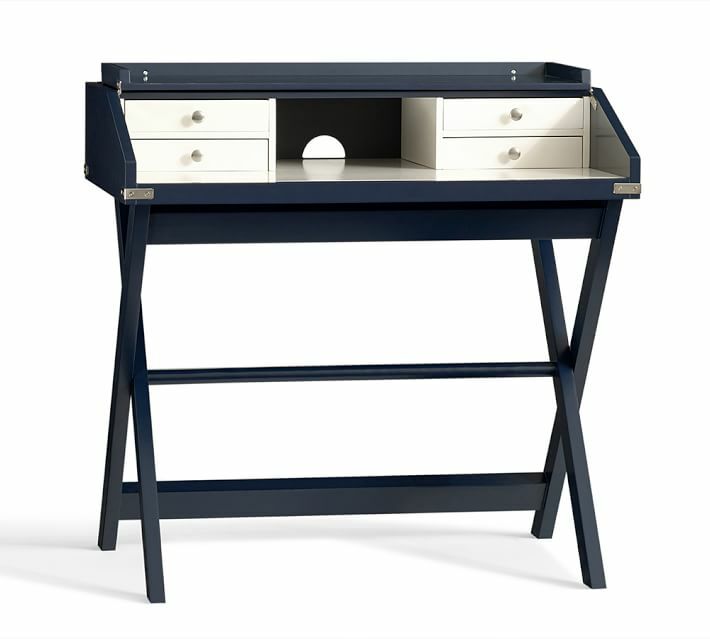 I would suggest adding the Sienna Secretary Desk to a bedroom, niche or generous size hallway. The pop of unexpected color and tailored shape would add interest and a unique touch to almost any room. And wait until you see the desk open – a contrasting color! Pottery Barn got this piece just right!